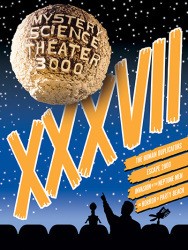 Stranded in space, a man and his robot sidekicks are forced to watch cheesy movies and cope through laughter—and song! 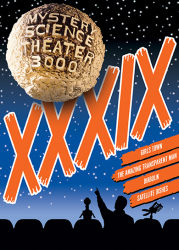 Music has always played a key role in Mystery Science Theater 3000's irreverent brand of humor, and never is that more evident than in this collection of songs, incidental music and instrumental bumpers from the show's triumphant return season. 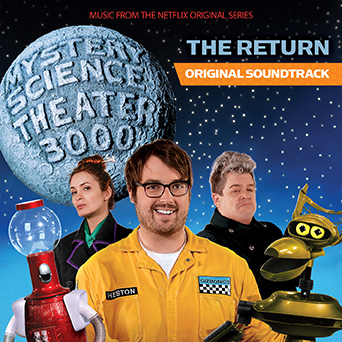 Regular cast members Jonah Ray, Felicia Day, Hampton Yount, Baron Vaughn and Rebecca Hanson are joined by special guest stars Neil Patrick Harris and Mark Hamill in transcendent musical moments, all capped by Har Mar Superstar's dynamic update of the main theme. This is essential listening for MSTies everywhere.